From an excellent relationship with the Association of Spouses of Diplomats of Mexico, Le Cordon Bleu Mexico held the event, receiving in Universidad Anáhuac North Campus facilities Ambassadors/Diplomats and their spouses from different countries such as Uruguay, Honduras, Indonesia, Turkey, Chile, Mexico, Malaysia, among others. The Association of Spouses of Diplomats of Mexico, is an association that has existed since 1990 which brings together the spouses of representatives of the embassies, consulates and international organizations. ACD has more than 100 members of 47 embassies and 12 international organizations accredited in Mexico. 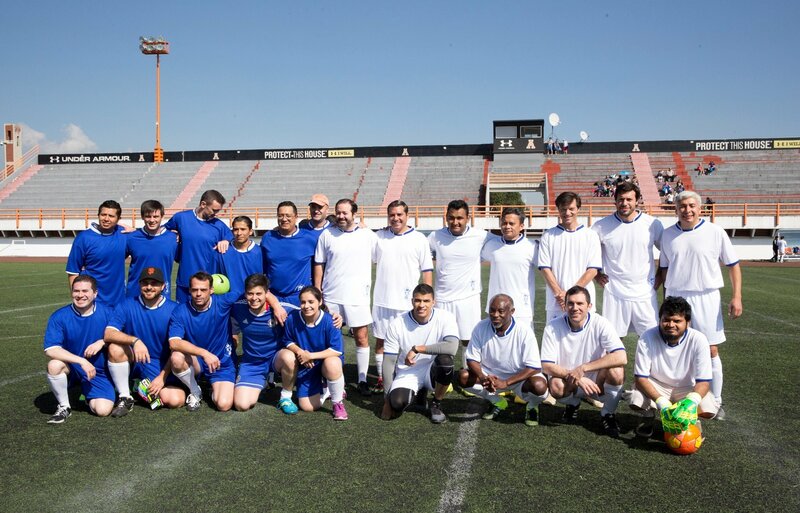 The event with the Association was held on September 10 in the morning, starting with a Football match Ambassadors vs. Chefs and staff of Le Cordon Bleu Mexico, later we had a Brunch in the Garden of the Institution. This Brunch was prepared by the Master Chefs of Le Cordon Bleu accompanied by drinks of "La Europea" leader company in wine and spirits. We appreciate the participation shown by Association of Spouses of Diplomats of Mexico!